2. Bromelain: Bromelain is an enzyme found in pineapple juice and in the pineapple stem. Bromelain is used for reducing swelling (inflammation), especially of the nose and sinuses, after surgery or injury. 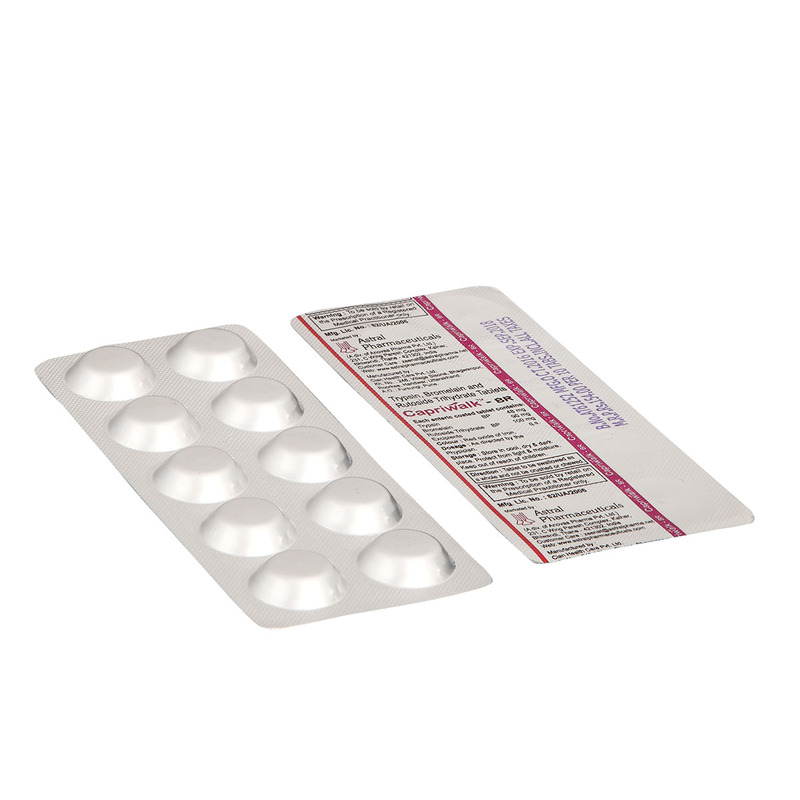 It is also used for hay fever, treating a bowel condition that includes swelling and ulcers, removing dead and damaged tissue after a burn. 3. Rutoside Trihydrate: It is known as Rutin. Rutoside Trihydrate is mainly found in many plants, including Buckwheat, Tobacco, Forsythia, and Viola etc. It has been used therapeutically to decrease capillary fragility. Side effects: Capriwalk is usually harmless and well tolerated. Only colour and odour of stool may change. Allergic reaction occurs rarely, a sensation of fullness, flatulence, and occasional episodes of nausea may occur. If it occurs, can be treated by enzyme preparations under doctor’s supervision. 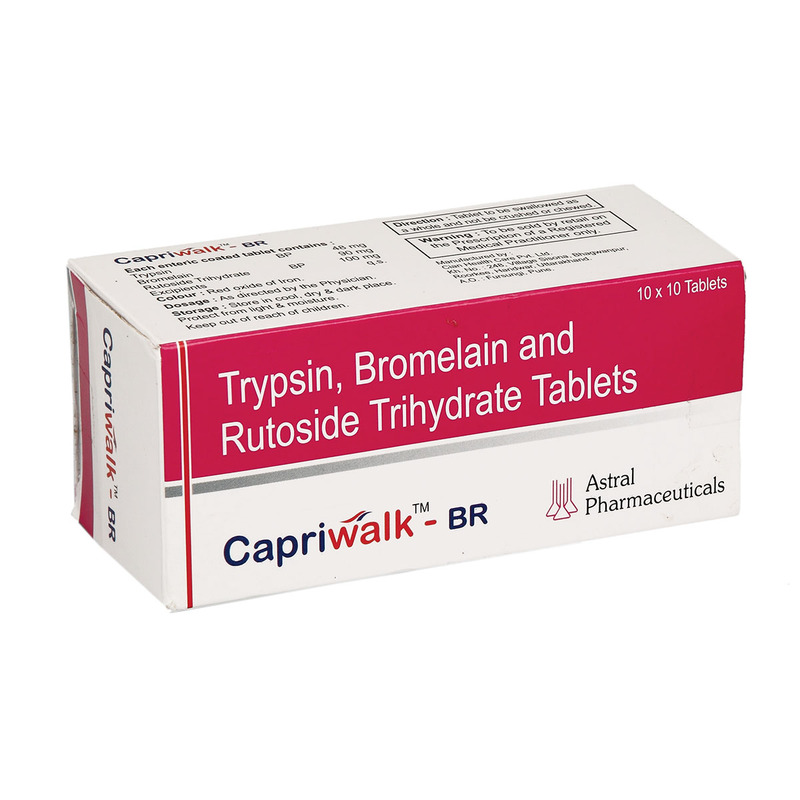 Drug interactions: No clinical trials have been conducted to evaluate the drug interaction of Capriwalk. However, no evidence of incompatibility of Capriwalk with other simultaneously administered drugs have been reported. 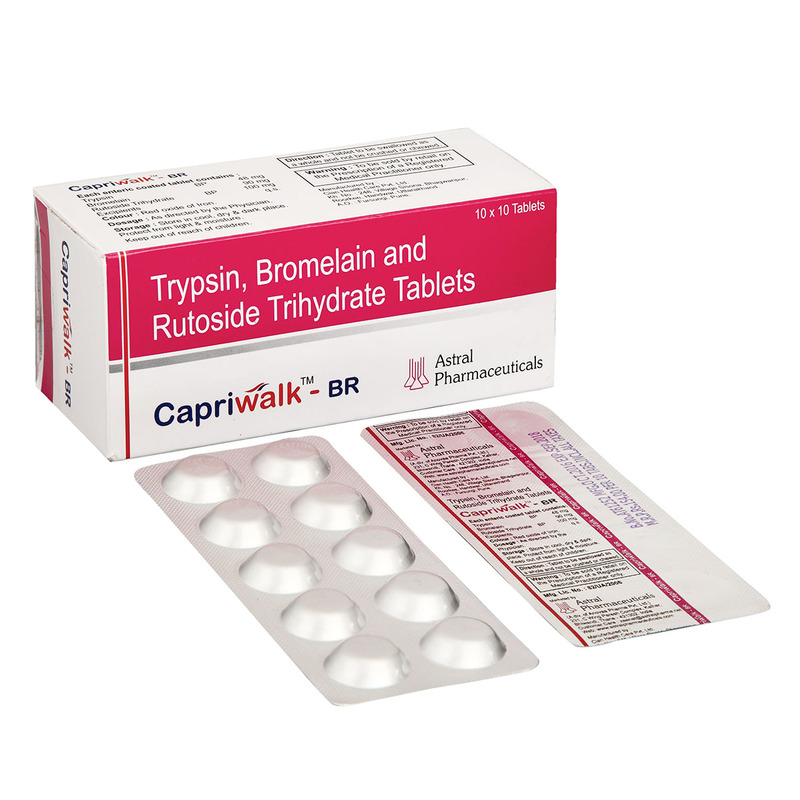 Contraindication: Capriwalk must not be used in case of known hypersensitivity to its active ingredients. The preparation must not be used by patients with severe inborn or gained coagulation disorders. (E.g. - haemophilia, severe liver damage, dialyzed patients).